I’ve visited Greece many times, but have never learned the language beyond a few basics and some vocabulary. The most difficult challenge in learning Greek is the complex grammar. It’s much more complicated in Greek. Greek has grammatical cases, which means that nouns and adjectives get inflected. Even the word for “the” changes in at least 18 different situations (singular or plural; nominative, genitive, or accusative; and masculine, feminine, and neuter). The number in each cell could represent a locus in a memory palace. Each locus could contain at least two words: one for singular, and one for plural. δ = delta is pronounced like “th” in “the”. The English “d” sound is spelled “ΝΤ” in Greek. I don’t know what to do about this problem yet, but I’m sure I’ll think of something along the way. Accents in Greek fall in unpredictable places. An example is the Syntagma metro stop in Athens. Foreigners call it “Sin-TAG-ma”, when it is actually “SIN-dag-ma” (Σύνταγμα). I’ve previously dealt with this problem by using my number shape images to mark the accent. For example, I added a swan (2) to my image for the Greek word, μαζί, to remember that it has the accent on the second syllable. My main goal for this summer is still to learn Esperanto, but since I am in Greece for a while, I don’t want to miss this opportunity spend a bit of time on the language. My goal isn’t to learn to “speak Greek by the end of the trip” or to memorize “X” number of words. It is just to push myself past the grammatical barrier that has been keeping me from learning Greek all these years. I will be traveling to Greece many times in the future, and hope to gradually pick up the language over several years. I’m also interested in seeing what can be discovered about using mnemonic techniques for memorizing complex grammar. Esperanto has very simple grammar, and there isn’t much opportunity to apply memory techniques to grammatical cases, inflections, weird spellings, unpredictable accents, and other elements that make Greek perfect for this kind of experiment. UPDATE: see also more thoughts on memorizing Greek Grammar. You have no idea how surprised I was to see this! I’ve been subscribed to this blog for some time, and one of the biggest things I’ve been trying to get my head around is the immense effort required in the memorization of Greek grammar (Classical/Attic, though, not modern). The problem is the sheer number of cases and tenses (for verbs and nouns respectively) leading to an even greater number of forms. For declining cases: I tried to provide myself a structure for each word’s set of forms that put each image in relation to each other — a tree, I found, worked best for the case system, where I’d have the trunk shooting up for the nominative, then a branch shooting forward for the accusative, one shooting back for the genitive, and the dative at the base. I used separate trees for singular and plural. My verb tense memorization process was somewhat less successful — I didn’t find quite so cohesive an organization, although I’m sure I could if I went back to it. It’s a time-consuming process, though. By all means keep posting on this! Did we meet in London last August? Someone was asking Dominic O’Brien about memorizing classical Greek in the arbiter’s room. I took a look at classical Greek grammar a couple of weeks ago, and it’s even more complicated than modern Greek. I’m hoping some of the modern Greek that I learn will carry over to Classical Greek. I will keep posting about any techniques I experiment with. I’m working from a book called Learn Greek without a Teacher which seems fairly good. If you would like to share anything that you’re working on, there is a forum section for learning languages. 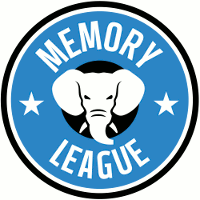 Each registered user of the forum also gets a free memory blog. Nope! Never been to London. Guess there are more of us than one would think. And yes, Classical Greek is pretty complicated….part of the main reason I’ve been trying to use Mnemonic techniques. And the forum/Wiki look promising! I’ll bookmark them, and then come back and give them a closer look/maybe start participating once it’s not so close to finals week. I know the “ordinary” plurals like ο γιατρός > οι γιατροί. But how should i learn little baffling ones like o γαλατάς > οι γαλατάδες. Normally, one would say that it is γαλατές. However, it’s not. I hope I was clear in my question. I would be very happy if my quesiton is answered. Thank you. I’m not sure — I haven’t done that exact thing. One idea to experiment with might be to create a memory town with 14 or 15 areas (however many types of pluralization there are) and put all the words that have the same pluralization form in the same area. I experimented with that for German a little bit, but didn’t finish. It seemed promising, but it’s also time consuming to organize by pluralization. You might want to check out Anthony Metivier’s website — he has some very interesting ideas about language learning.